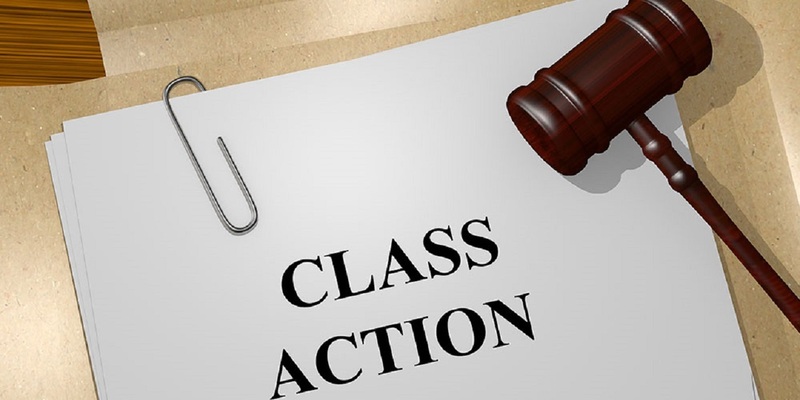 WASHINGTON (Legal Newsline) - Federal district courts are divided on whether a landmark U.S. Supreme Court decision on personal jurisdiction is applicable to class actions. The Bristol-Myers Squibb decision, handed down just over a year ago, found that a California state court did not have jurisdiction in a mass tort action over many of the plaintiffs that were not residents of the state, and where the defendant was not incorporated or headquartered. This decision did not explicitly address whether it also applies to class actions filed on behalf on unnamed plaintiffs across the country. Experts believe this issue will have to be addressed by the Supreme Court because of the different interpretations taken by district courts. Thomas Richie, a defense attorney with Alabama-based Bradley Arant Boult Cummings, told Legal Newsline: "We are seeing the effects (of BMS) but it left open whether personal jurisdiction pertains to class actions." "District courts are answering in different ways, some district courts are applying BMS limitations, others are not," he added. "And we are seeing the first cases reaching the federal appellate level." The underlying suit against BMS was one filed in California by plaintiffs who claimed that their use of blood-thinning drug Plavix had adversely affected them. Of the near 700 plaintiffs, close to 600 lived outside the state. Bristol-Myers Squibb asked the highest court to review a decision by the California Supreme Court that allowed the action to move forward. The company argued that state courts cannot have jurisdiction when the defendants, and most of the plaintiffs, have no connection to the state. It argued for the dismissal of the claims made by the out-of-state plaintiffs, that California had no jurisdiction over those claims because nothing of relevance happened in the state and that they did not buy the product there, nor was the item produced there. Effectively, any plaintiff wishing to take an action against a company must do so where it has its headquarters or is incorporated. Legal reform organizations believe it limits so-called "forum shopping," where it is claimed attorneys and plaintiffs are drawn to certain courts in the belief that they would receive a more favorable result. The U.S. Supreme Court agreed with the defendants, ruling 8-1 in favor of the drug company, with the only dissenter being Justice Sonia Sotomayor. Ironically, Sotomayor was the only justice to flag the issue of how this decison might affect class actions. "In the BMS decision, the question was not asked," Richie said. "Sotomayer was perceptive and she was the sole dissent." Richie, who very much believes the BMS decision was the "right result," predicts that it is "inevitable" the question over whether it also relates to nationwide class actions will land with the U.S. Supreme Court. But the court will wait to see how it play outs in the lower courts, which is the common practice before stepping in to take up a case for review. He notes that the district court decisions stating that BMS does not apply to class actions have come from Judge Eldon Fallon in Lousiana, and from California. Those cases that do apply BMS are "more geographically dispersed," including out of New York. But another court - in a case filed in the District of Colombia, Molock vs. Whole Foods - granted in part the defendant's motion to dismiss, throwing out the claims of those not living within the jurisdiction, but allowed the overall action to move forward largely intact. What is definitely happening is that defendants are claiming that personal jurisdiction does not apply in states where they do not have a headquarters or are incorporated. "But I do not see class actions being stayed or delayed on this issue, defendants addressing in the normal course of business," said Richie, adding that many district courts will not wait to see how a case plays out to the end, but will allow a move to the federal appellate level to decide issues of particular importance and relevance. "I am not surprised to see that district courts disagree about it, but some of the reasons that the courts have used to say it does not apply have been surprising," said Richie, noting that one of the reasons given is that Congress intended to establish nationwide jurisdiction in federal courts. He added, "I have not been persuaded by these arguments."